There's a fine love between love and hate. 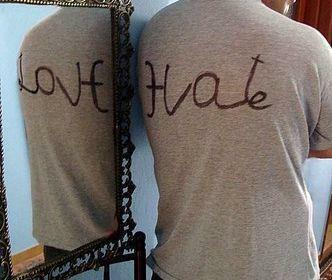 Love can quickly turn into hate, as well as hate turning into love. 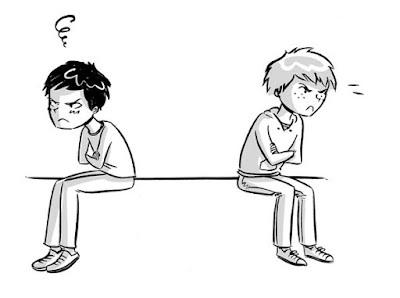 Are they one in the same, or do you truly think someone can "hate" on someone without some sort of feeling of sadness, (loss of the friendship or relationship) or a deep admiration for them? And what I mean is this: when somebody falls indifferent towards you, doesn't that imply a lack of interest? Which is worse? A deep seated hatred for someone (why) or a true lack of interest -- an uncaring feeling toward someone else? Hatred implies that there are underlining feelings -- or unresolved issues brewing. About ten years ago, I had a falling out with a friend of mine. We were working on the same project together, so it was more work-related. She was talented, intelligent, funny and very compassionate. 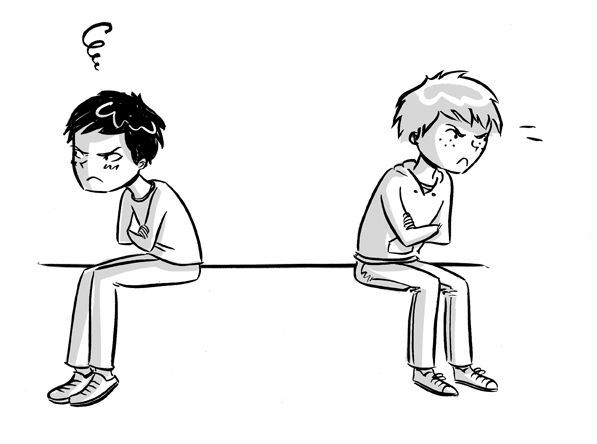 We disagreed on something so strongly, that one day it just tore our friendship apart. And although I had less respect for her stance in something that I felt totally differently about, I still cared about her. I admired the person she was and thought she was just amazing. But I "hated" her for a particular reason. (I never "hate" anyone, but I'm trying to make a point here.) I had a strong distaste in the way she handled her business, especially after she hurt someone really bad due to her own gain. She is not normally a selfish person, but I pointed something out and we had a huge argument over a conflict of interest, as with any coworkers or artists would have. After we were finished with our project, we discontinued communication and parted ways. We "said our peace," but it was time to move on. I didn't go on social media and bash her to smithereens or slander her character in any shape or form. I didn't badmouth her to anyone, perhaps complain to my wife about it, but that was the extent of it. She would write up on her Twitter that I hated her -- she became very vocal in airing out our disagreement. They were more or less jabs, and not these ugly statements made in anger. Just "take that" kinda jab, or perhaps just a subliminal type of tweet that would get my attention. And it did. Why? I always say that silence is your best weapon. I always feel that silence speaks much louder than words in most cases. But sometimes, it's necessary to say something. In the same regard, I think indifference shows a huge lack of interest -- where it's stronger than hatred. When somebody shows a huge indifference towards you, it means that it. is. done. and. over. with. Plain and simple. There are no 'jabs' or subliminal messages being relayed to you or within your circle of friends. There are no games being played, or attention given. It's just...silent. I truly dislike confrontation. Who really does? It brings such negative feelings up to the surface, as well as negative thought patterns. It gives me so much anxiety to be in conflict with someone, especially if they're close to you. It's a fact of life that not everybody is going to like you -- and that's OKAY -- but not everyone has to agree or remain friends with you either. I'm not a perfect Christian, but I do believe in "praying for your enemies" -- in terms of those who are against you. I never truly had or have an "enemy" except a while back when I was going through a rough breakup, and a few of my ex's friends bashed me relentlessly. I don't even know what to call that. 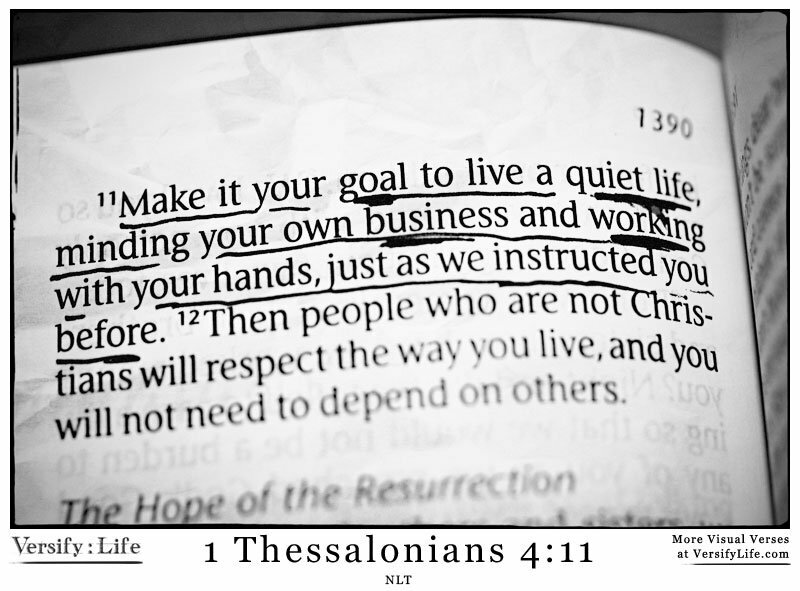 Sometimes it's hard to mind our business and live a quiet life. 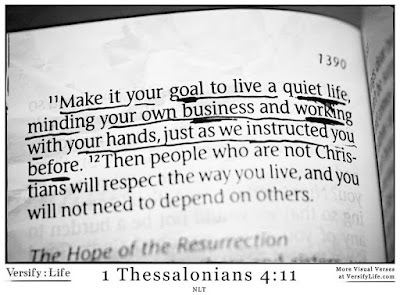 I also feel that with social media, you may think you're living a "quiet life" all the while making somebody else's life miserable over on social media. There are many people on social media, who would otherwise be quiet people if there was no such thing as social media. I think we need to step back from our phones and computers for a healthy amount of time (unless your work depends on it like mine does) and realize that there are real people with real feelings behind each screen. Every time you log onto a social network, picture yourself walking into a room with every single person you come across on social media. Think about the people you like, and then think about all the people you dislike. 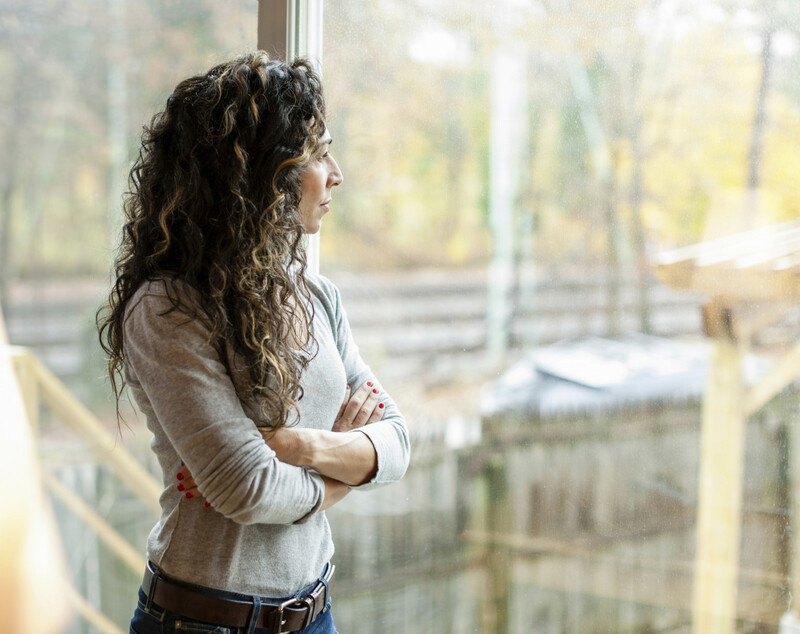 Reconciliation happens much faster when faced with the person who you either hurt you or who you hurt due to "feelings." Let's get out of our feelings and step into reality for one moment. What would you say to the person you dislike on Twitter or on Facebook? Who cares about who votes for who? Who cares what religion they practice or if they're not practicing? Simple solution: if you truly dislike someone's politics or religious stance on social media, delete delete delete and move on. You can't force somebody to believe what you believe. Just be you and share your story, because nobody can argue about your story -- your truth -- your life. And if you get criticized for it -- delete and move on. Life doesn't have to be so complicated, so they say.